A beloved Broadway gem, The Wiz infuses L. Frank Baum’s The Wonderful Wizard of Oz with a dazzling mix of rock, gospel, and soul music. This timeless tale of Dorothy’s adventures through the Land of Oz is a fun, family-friendly, modern musical and one of the most popular shows in the Samuel French catalog. Watch Female Inmates at Bedford Correctional Facility Perform a Gut-Wrenching Version of The Wiz here. So You Wanted To Meet The Wizard? 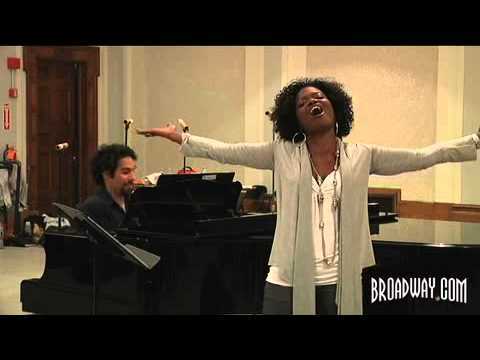 In Rehearsal: "The Wiz" at Encores! 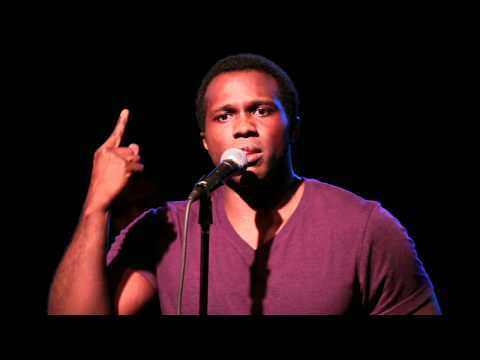 Joshua Henry Performs "What Would I do if I Could Feel"
Dorothy's Aunt. Life has not been easy for her and promises little else. Harsh towards Dorothy at times, but acts out of love. Bright eyed and alive as can be. Would rather remain a child as long as possible instead of accempting the responsibilities of adulthood. Dorothy's Uncle. Physically run down from years of hard work on the farm. Often acts as the voice of reason towards Aunt Em. Good Witch of the North. Has magic powers she refers to as "doing tricks." Her magic abilities don't always pan out as well as she would like them to. Four dancing actors combine to create the Yellow Brick Road. Metaphorically represents the road Dorothy travels down, encouraging her along the way. Tired of being a scarecrow and the prospect of not going anywhere. Embarks on the journey to see The Wiz in hopes he can provide a brain. Travels around the jungle scaring people, but has “a yellow streak a mile wide.” Coward state stems from deeper mother issues and gets regular counseling from an owl. Joins in the journey to see the wiz to gain some courage. Guards the gate to the Emerald City. All powerful leader over the land of Oz. Hides his true nature behind the façade of a temperamental leader. His true identity is an enigma. Wicked Witch of the West. Low-down evil. Not a kind bone in her body nor kind thought in her rotten mind. Weak coward. Evillene's number one. Servant of the Wicked Witch of the West. Summoned to do her bidding. The mere mention of him brings fear. Good Witch of the South. Prettiest of all the witches. Very wise in the way of show-business. Originally produced with an all-Black cast, it is preferred that the main characters are cast with people of color but there are no restrictions so long as the spirit of THE WIZ is maintained and cannot be confused with THE WIZARD OF OZ. The Wiz originally opened on Broadway at the Majestic Theatre on January 5, 1974 after only 15 previews. It shortly thereafter moved down the street to the slightly smaller Broadway Theatre. The show finally closed on January 28, 1979 after a grand total of 1,672 performances. The Wiz also had a brief revival at the Lunt-Fontanne Theatre, opening on May 24, 1984.